You know, I was in New York City recently. I was there to see a final rehearsal for a new Broadway show. It's a show about a beach bum who lives on this tropical island. He plays the guitar, and he sings for tourists covered in oil. JIMMY BUFFETT: (Singing) Nibbling on sponge cake watching the sun bake. BUFFETT: (Singing) Wasting away again in Margaritaville, searching for my lost shaker of salt. GREENE: That is Jimmy Buffett singing his most famous song. 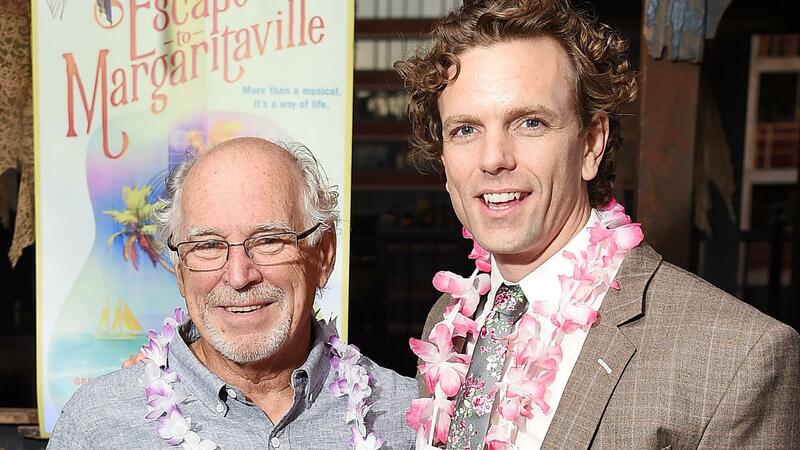 The first version you heard was a dream come true for Buffett, his own Broadway musical. It is called "Escape To Margaritaville." UNIDENTIFIED ACTORS: (As characters, singing) Wasting away again in Margaritaville. BUFFETT: (Singing) Yes, I am. Yes, I am. Yes, I am. I still can't actually believe this is happening sometimes. You know, it's been a long road (laughter). GREENE: I was sitting with Jimmy Buffett up in the balcony of the Marquis Theatre on Broadway. Down below, technicians were inflating beach balls, which in true Buffett style, are dropped on theatergoers' heads at the end of the show. Jimmy Buffett has been going at it since the 1960s. That's when he began as a country singer. But after he moved to Key West, he built a career celebrating that beach bum lifestyle. Back in the old days, he may have really lived that easygoing life. Today, Buffett is a busy multimillionaire. His so-called parrothead fans - some wearing their cheeseburger hats - fill stadiums. Buffett markets everything from blenders to lost shakers of salt. His music, maybe like this Broadway show, is not for everyone. Buffett doesn't just admit that, I think he's proud of it. BUFFETT: I had to have people that understood the culture. There were great writers who write for Broadway exclusively that really were interesting and I liked their work, but none of them were real parrotheads. GREENE: What is the culture, for people who are not parrotheads? Like, what - how do you define it? BUFFETT: It's just escapism, you know. And it's fun and getting away from the rigors of real life. GREENE: That's what you're doing for people. BUFFETT: These days, I think we need it more than ever. GREENE: You think there's some rigors out there? BUFFETT: I think people need a little fun. UNIDENTIFIED ACTORS: (As characters, singing) Pour me something tall and strong. Make it a hurricane before I go insane. It's only half past 12, but I don't care. It's 5 o'clock somewhere. GREENE: Yeah, Jimmy Buffett has always been about helping us escape the pressures of life, even if just for one night at a concert. The new musical, I mean, it's not very deep. It's basically Buffett and his writers throwing some plotlines into a blender, just enough to get you from one Buffett hit to the next. BUFFETT: What then I had to do was like take a song. Like I'll give you, for instance, so "Changes In Latitudes" now is sung by the two female leads. BUFFETT: Like being on the Enterprise and these people that you've written songs about who are imaginary beam aboard and there they are. 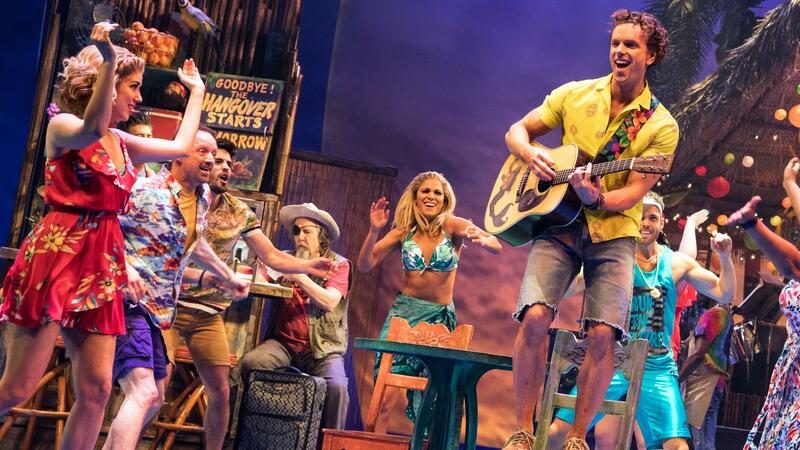 They're actors, yes, but this is as close to creating an actual Margaritaville as there's ever really been. UNIDENTIFIED ACTOR: (As character, singing) Knowing Rick (ph) likes me the way that I am reminds me there's some really good men. Visions of he and I having some pleasure make me want to come back again. It's those changes in latitudes, changes in latitudes. Nothing remains quite the same. Through all of the islands and all of the highlands, if we couldn't laugh, we would all go insane. GREENE: Who are you making music for? BUFFETT: I make them for the audience. I'll make it for the crowd, the paying customer. GREENE: But make sense of the paradox to me that you are, I mean, a massively successful business. The Margaritaville brand, you know, it is hugely commercial. GREENE: Are you a different person if you've gone commercial? BUFFETT: Well, I'm not Ron Popeil, you know. So I can sell you a blender, but I'm not going to sell you a Vegematic. I'll tell you how smart a business mind I am not is that I had no idea that Margaritaville could be a business entity because I didn't own the trademark to the restaurant. Some guy in California trademarked Margaritaville as a restaurant. GREENE: Before you could trademark? BUFFETT: And I can't have the name. Of course, I've tried to buy it back, but he won't sell it. BUFFETT: I think I'm still living the Jimmy Buffett life. I make time. The work-to-play ratio is I think what's important. And it's not a demand for products. It's a demand for a feeling that we need - you need to get away. BUFFETT: But there's this one particular harbor, so far but yet so near, where I see the days as they fade away and finally disappear. GREENE: There's a moment in every concert, and it sticks with me every time you get there. It's when you're singing "Son Of A Son Of A Sailor," and you sing, I'm just glad I don't live in a trailer. And you always say something like, I've been there. And I always interpret that as like you trying to say to people like, wherever you are, I'm still a guy you can connect with. BUFFETT: You know, it's actually out - when I wrote the line, it's the fact that it was that I spent some miserable days in trailers in college. We were in a band. And we were, you know, we were living hand-to-mouth daily. And so it came to the point where we either - we couldn't pay both the gas bill and the electric bill. So we only paid the electric bill. And we spent money on electric blankets. And we lived with extension cords and electric blankets while we rehearsed. That I don't want to go back to (laughter). And that's what that line was about. BUFFETT: (Singing) The sea's in my veins. My tradition remains. I'm just glad I don't live in a trailer. Been there, done that, got that T-shirt. GREENE: OK. You made it to Broadway. Is there anything else on the bucket list? BUFFETT: You know, at 71, I'm looking up the road. You know, at 75, you got Sir Paul and Mick. I'm watching them 'cause I - we see each other occasionally. GREENE: They're like a little ahead of you, so you see what happens. BUFFETT: Yeah. And then 80, you got Willie. And in 91, Tony Bennett. So I'm not going anywhere except up that road as long as I can. You know, and I haven't tuned down a half a step yet. BUFFETT: When you can't hit the high notes. Yeah. So I'm not there yet, no. GREENE: Well, there you go. Jimmy Buffett, a real pleasure. Best of luck with the show. BUFFETT: Thank you so much. Hey, thank you for having me here. GREENE: Jimmy Buffett. His new Broadway musical's called "Escape To Margaritaville," and it opens tonight in the heart of New York City. Parking is pretty terrible in midtown Manhattan. I mean, you're going to have parrotheads who are flocking to the show who are thinking that there's going to be like some tailgating space to hang out all day. BUFFETT: There's stairs. It's vertical tailgating. BUFFETT: We got the hotel. Why you think we're here? (Laughter). GREENE: All right. Transcript provided by NPR, Copyright NPR. A federal appeals court has ruled in favor of a tattoo parlor owner and against the city of Key West's attempt to block a new tattoo business from opening in the city's historic district. 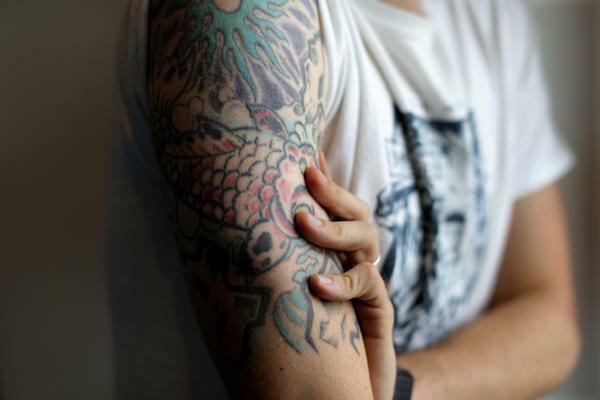 The U.S. 11th Circuit Court of Appeals ruled that tattoos and tattooing are artistic expression, protected under the First Amendment to the U.S. Constitution. And it rejected the city's arguments that tattoo parlors could hurt the "character and fabric" of the Old Town area and thus hurt tourism.